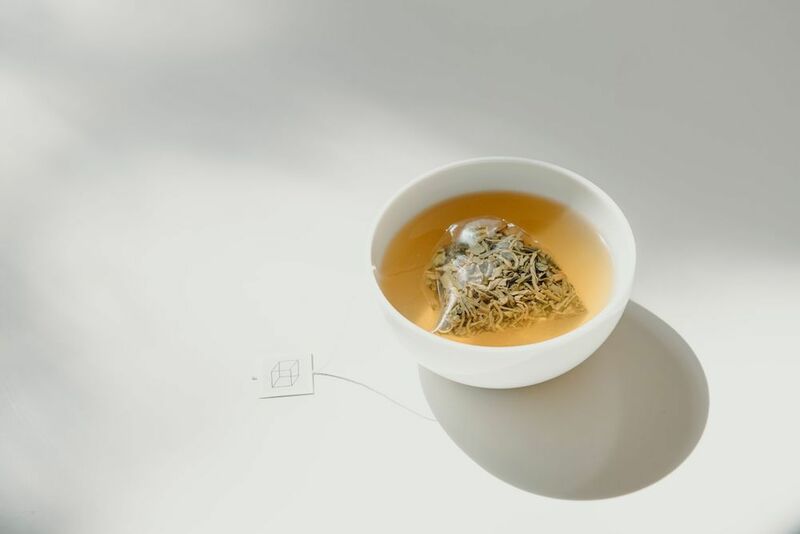 While Chicago counts one of the country’s strongest coffee scenes, thanks to the great work of local tea sellers—like Rare Tea Cellars, Spirit Tea, and Kilogram from Intelligentsia—the city’s tea culture is becoming evermore sophisticated, too. 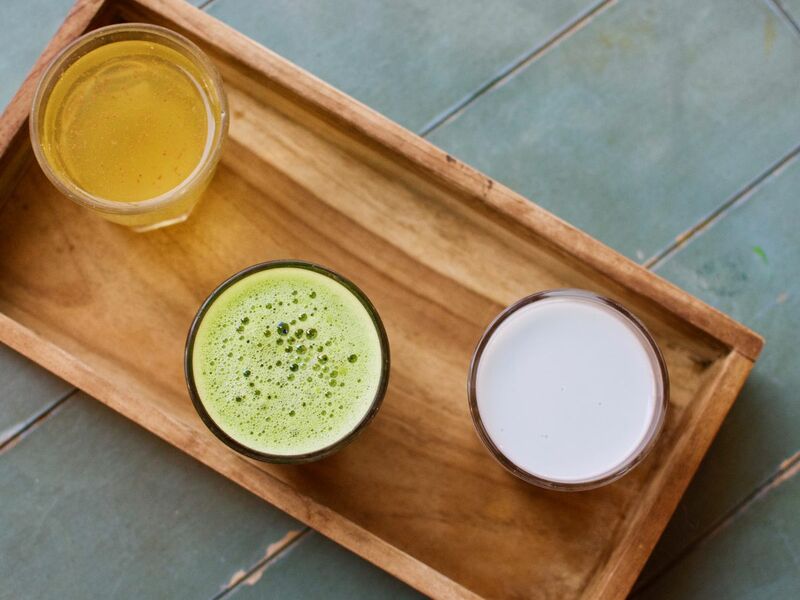 Beyond trendy drinks like matcha lattes, Chicago has experienced a swell is establishments serving properly-brewed teas, wherein the temperature of the water is taking into consideration, along with brew method, and ratio of leaves to water. 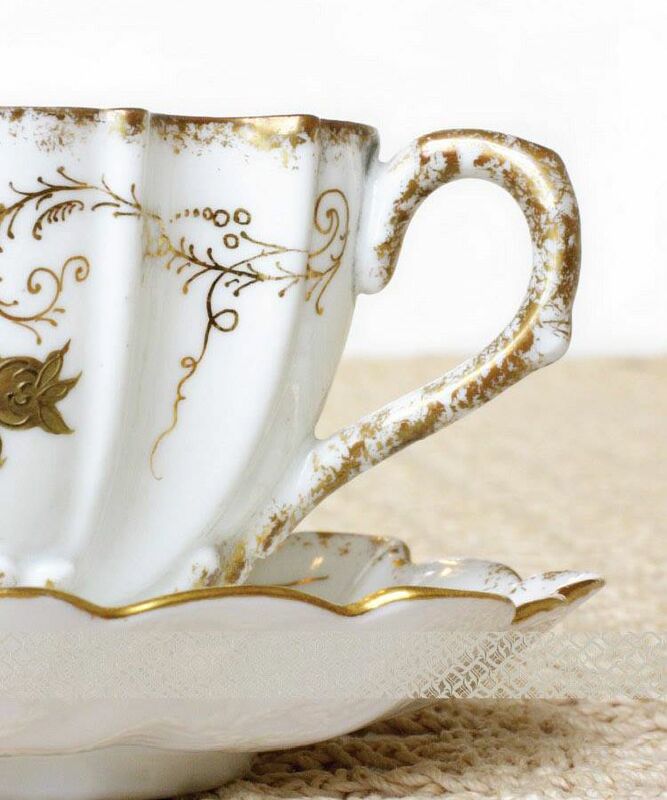 From oolongs to greens to blacks, below, 19 of Chicago’s of best places to sip tea. Tom Santelle came to Chicago’s Michelin-starred brewpub from Alinea and heads up a robust tea and coffee program. BOB also offers carbonated and cold-brew teas, and don't be afraid to ask Santelle questions, as he'll gladly oblige. 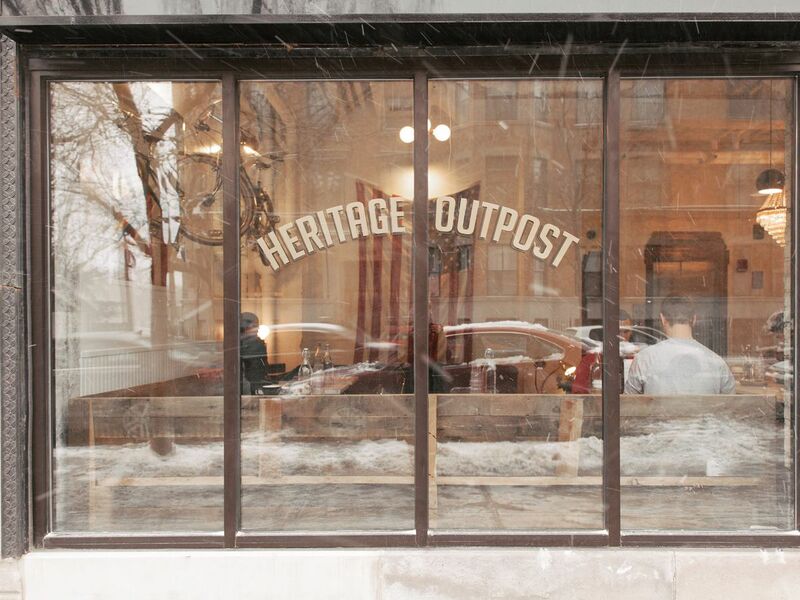 At all three Heritage spots, their staff is trained in proper brewing techniques, including the usage of the Chinese gaiwans, the lidded cup that needs no bag or filter to brew Kilogram Tea. Finom Coffee debuted in Old Irving Park in late December 2018, offering a Hungarian slate of eats alongside a bevy of specialty coffee and tea drinks. 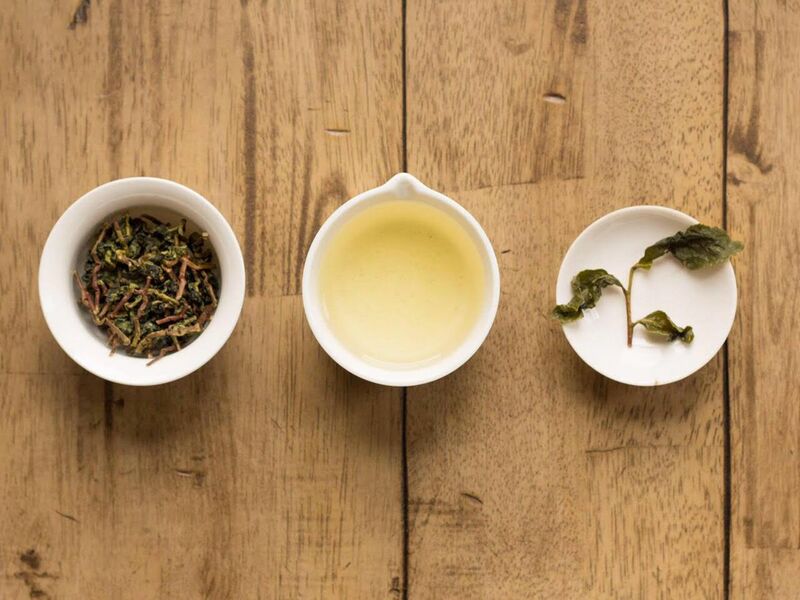 Here, management sources teas via Rare Tea Cellar, and owner Daniel Speer advises patrons to try the “Freak of Nature Oolong” (from Wuyi Mountains in China), which tastes like a floral milkshake, even without any added dairy. 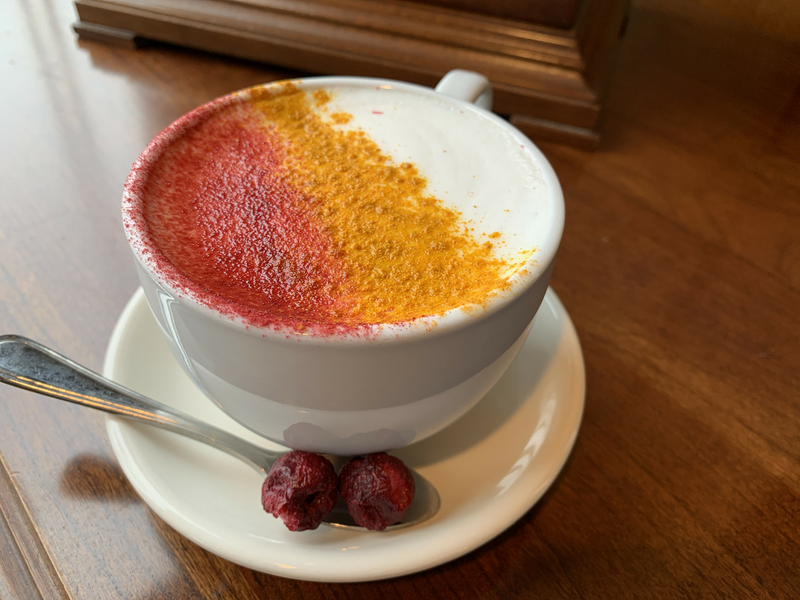 For those looking to capture that Instagram moment, try the vibrantly-hued “Hawaii Fog,” Finom’s take on a traditional London Fog, made from steamed almond milk with hibiscus, Hungarian Morello cherry simple syrup, garnished with tart cherry powder and turmeric. Backlot Coffee, which counts two locations in Evanston and Old Irving Park, serves brews mostly made from Rare Tea Cellar teas. And for those keen on unique tea-based beverages, pop in to try the new litchi noir latte, made with a simple syrup crafted from Rare Tea Cellar’s Litchi Noir black tea, a double shot of espresso, steamed milk of your choice, and a sprinkle cocoa atop. Or, for matcha fans, there’s always a seasonal creation on offer. Next up, a lavender matcha latte sweetened with a house-made lavender syrup. Chiya is the place for chai tea fans. 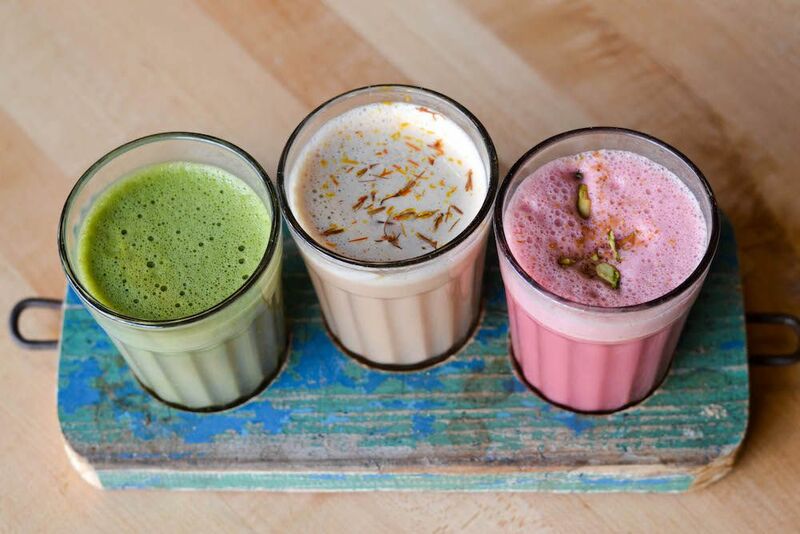 This modest Nepalese café in Logan Square serves over 150 different combinations, with classic and creative flavors like masala and cardamom to “Salty Pink Himalayan” with almond butter. Then, order some momos (dumplings) alongside. 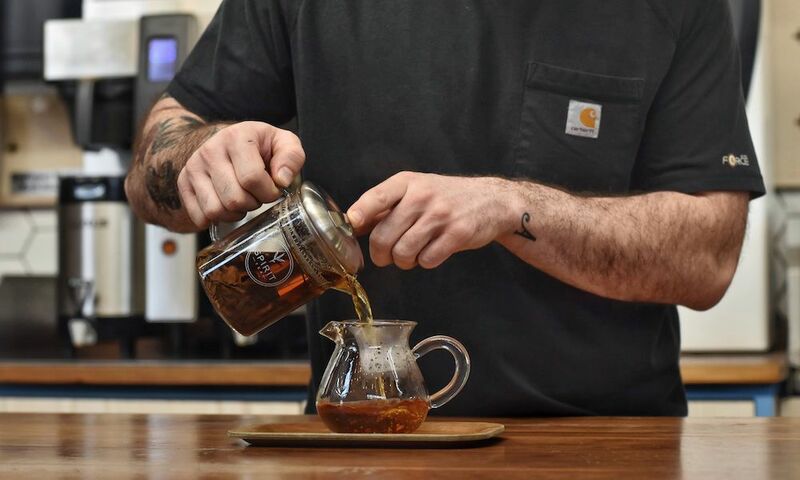 Logan Square’s Gaslight Coffee Roasters works with local seller Spirit Tea to curate a rotating tea selection. During the summer all iced teas are cold-brewed. Local specialty coffee chainlet Intelligentsia offers tea drinks made from Kilogram Tea. Pick from English Breakfast, Chamomile and Jasmine Green teas, in addition to matcha drinks and turmeric tonics available at select locations. This is classic Chicago, with an extensive selection of Palais des Thés teas that spans the globe. Grab a seat in Palm Court, where tea service ($49 per person) has been offered for nearly a century. Expect a three-tiered tray with tea sandwiches, breads, scones, and petit fours. Wednesday through Sunday patrons snag the added benefit of live harpist performances. Years back chef Michael Mina had a restaurant in Los Angeles, and through his time spent there he befriended Craig Min, owner of Lamill coffee and tea. 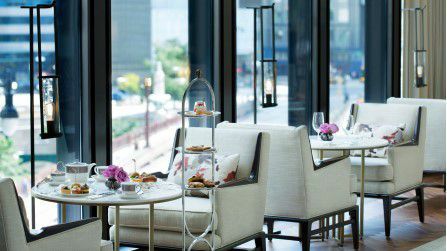 So, over at Petit Margeaux within Waldorf Astoria Chicago, Mina serves Lamill teas. Guests can choose from options like organic jasmine, Moroccan mint, and masala chai. Served in the heart of the hotel, The Lobby at The Peninsula offers afternoon tea daily from, from 2:30 to 4:30 p.m. Monday through Saturday, and from 3:30 to 5 p.m. on Sunday ($75 per person, or $90 with a glass of Champagne). 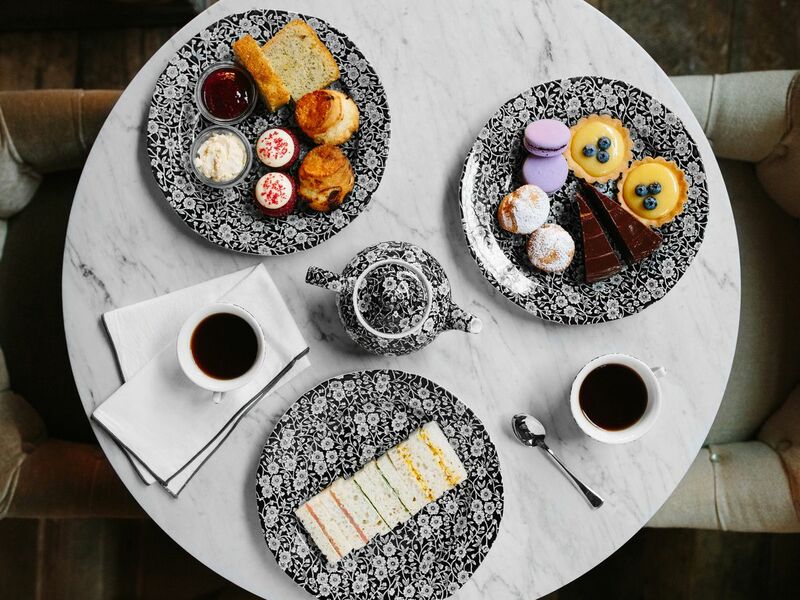 The house tea brand of choice is Le Palais des Thés, served alongside scones, tea sandwiches, and small desserts. 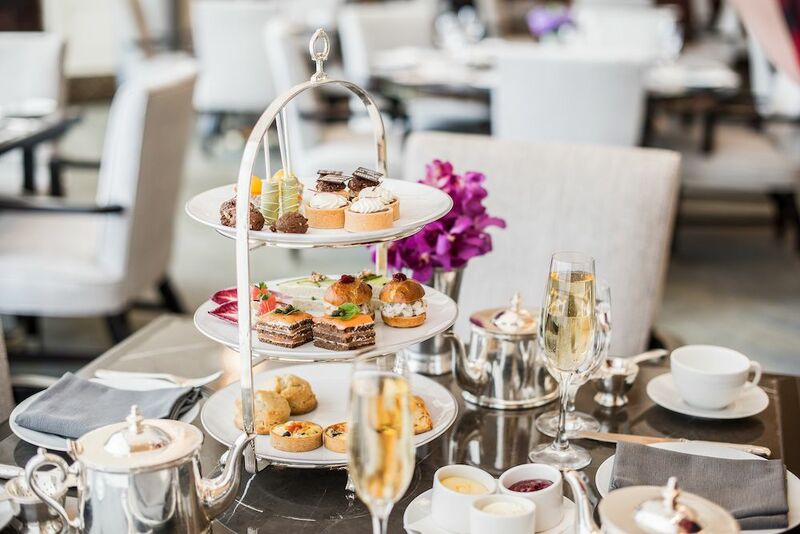 The Langham offers daily afternoon tea service in the Pavilion, with tea sandwiches and mini pastries served beside jam and clotted cream on Wedgwood China. Brews are not outsourced, instead the hotel commands its own proprietary brand. 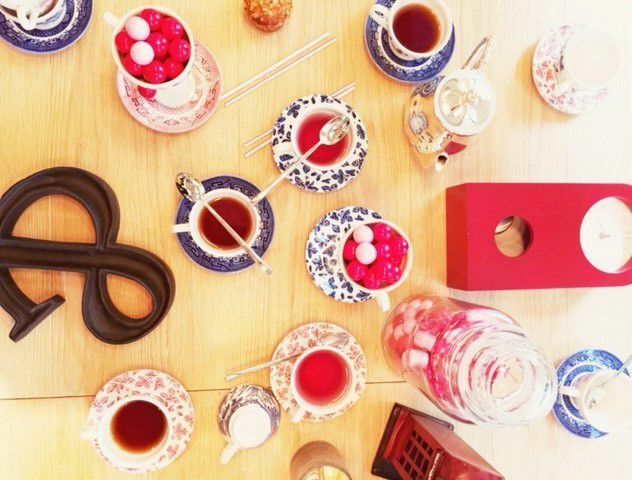 From time-to-time the property also offers specially-curated afternoon tea sessions, and right now the focus is on Alice in Wonderland, with bites themed after the famous book. 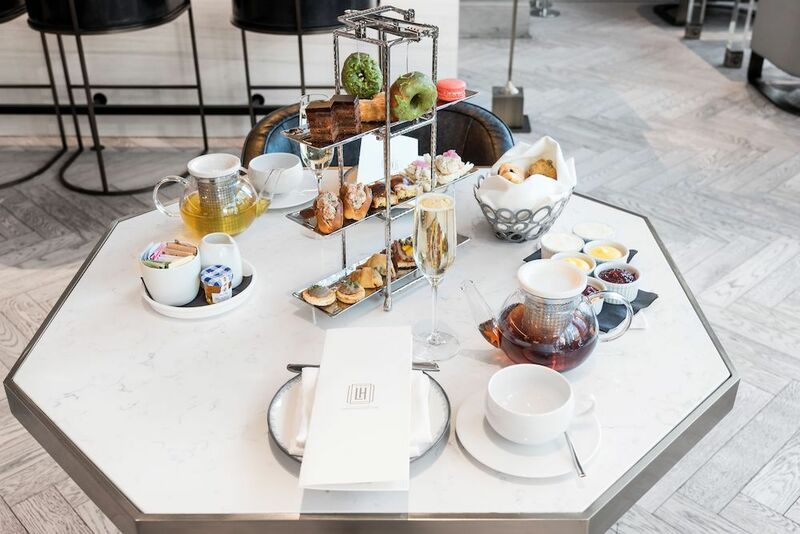 Within its lobby lounge Bridges, trendy Mag Mile hotel LondonHouse serves a more modern take on classic high tea ($50 per person) daily from 1 to 4 p.m., with brews like earl gray, darjeeling, assam, and peppermint sourced from Sparrow Tea. Beverages come accompanied by bites like prosciutto and melon on ciabatta, and duck pastrami with poached peaches and scallion on rye, along with assorted pastries and condiments. Though sleek little roaster Metric might be best known for its excellent coffee, the tea program here is also one of the city’s best. The team carefully sources its teas from Spirit Tea, offering a mix of whites, blacks, greens, and matcha. Unsurprisingly, their matcha has been the biggest seller lately, available both as a steamed latte and as a shaken iced drink. The Commons Club within Virgin Hotel Chicago takes a more alcohol-fueled approach to high tea. 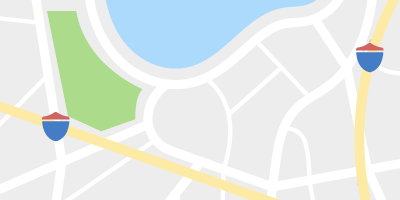 Running Saturdays from 1 to 4 p.m., Upside Down Tea Service ($35 for booze-free tea; the hard stuff begins at $45) includes warm, booze-spiked tea drinks (using Jenwey Tea) and Champagne, in addition to regular brewed tea options, plus sweet and savory tea bites. This joint collaboration coffee shop between Brendan Sodikoff and Japanese barista Hiroshi Sawada of Streamer Coffee Company in Tokyo manifests as a spacious, industrial-designed coffee shop with a penchant for matcha. In addition to matcha cortados and Americanos, the cafes serves Streamer’s most famous drink in Tokyo, the military latte made from a double shot of espresso and matcha, blended with vanilla syrup and a sort of green brown camo design atop. With its fireplace and living room feel, Drawing Room at the Chicago Athletic Association hotel is one of the city’s coziest places to sip tea during colder months. Here, the team worked with Rare Tea Cellars to draft a menu of unique and seasonal teas, and right now guests can pick from options like emperor’s house chai, magnolia blossom oolong, and gingerbread dream roibos. Meanwhile, Cindy’s atop the hotel also sources its teas via Rare Tea Cellar, and those brews flavor drinks both boozy and alcohol-free. 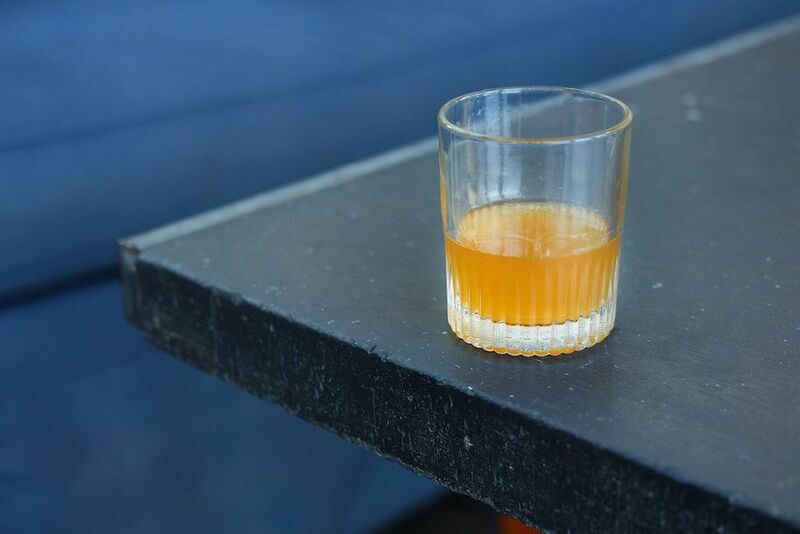 While the Lullaby cocktails calls for emperor’s chamomile in the form of a demerara syrup, Jillian incorporates tropical spiced clementine in the form of a drinking vinegar shrub. For those less interested in a buzz, there’s First Flush Shizuoka Matcha in the form of an almond milk latté. Since Fairgrounds debuted its first location in 2017, the chainlet has offered a bevy of Rishi sparkling teas on tap, kombuchas, and unique tea elixirs. For example, the “Rainforest Remedy” calls for matcha, frozen pineapple, coconut water and coconut milk, while the sticky chai tea latte incorporates chai soaked in buckwheat honey. Beverage options at Fairgrounds Coffee & Tea. Fresh off its facelift, beloved Chinatown dumpling slinger QXY has upgraded its tea options, too. Focused on teas from various parts of Asia, come in for a number of oolong options like iron buddha and da hong pao, or pick from green teas like jasmine or biluochun.